The Calcasieu Parish Sheriff’s Office responded to a call of an armed robbery of a convenience store in the 6700 block of Nelson Rd. in Lake Charles this morning around 6:00. The investigation revealed a man, went into the store with a weapon and demanded the clerk give him money from the cash register. The suspect stole an undisclosed amount of cash and fled the store. 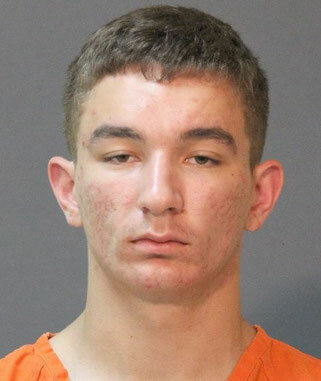 During further investigation detectives learned the identity of the suspect that entered the store brandishing a shotgun was Wyatt J. Guillory, 18, 7414 Jarib Lane, Lake Charles. 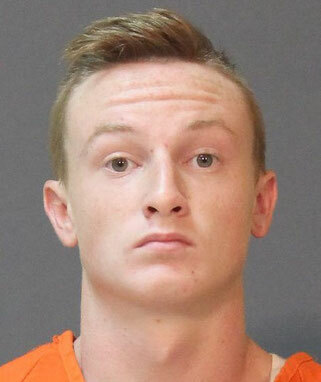 Detectives also learned there was another man, identified as Zachary C. Hebert, 17, 5343 Lane Road, Iowa, who assisted in the planning of the robbery. The investigation revealed Hebert drove Guillory to the store and also provided Guillory with the shotgun. It was learned Guillory and Hebert divided the stolen money after the robbery. Both Guillory and Hebert were arrested at their residences and booked into the Calcasieu Correctional Center and charged with armed robbery; and armed robbery with a firearm. Judge Michael Canaday set both their bonds at $425,000. Detectives have recovered a portion of the stolen money along with the firearm believed to be used during the robbery. CPSO Detective Randall Ravia is the lead investigator.